PFSOFT has announced the launch of a major upgrade to its benchmark Protrader trading platform. The leading technology firm that has been servicing the financial services industry for over a decade has added what it calls ‘key improvements’ in the fragmented world of trading platforms. Platform providers have constantly been enhancing their capabilities as traders develop their trading strategies, behaviour and requirements. PFSOFT’s team has been working with users and specialists for over 24 months in a bid to outpace competitors. The firm has focused on three essentials that it believes are paramount qualities for a platform to have; enhanced usability, speed and new functionality and tools. “I come across several trading platforms with innovative and unique features, however learning and understanding the full suite of functionality is time consuming”, said Nauman Tahir, an introducing broker from Pakistan. This is a common hurdle firms face when promoting a ‘new’ platform to traders. PFSOFT has been working to eradicate this in the current upgrade. Both from a design and UI experience the firm has simplified the usability of the platform, thus making it easy, quick and stress free to navigate and take heed of the main functionality on the platform. Apart from direct latency affecting trade execution, the firm has improved speed for its web version by building its desktop in 64-bit enabling end-users to use their hardware capabilities more. A new or improved platform is nothing without functionality that adds value so the traders can optimize the terminal. 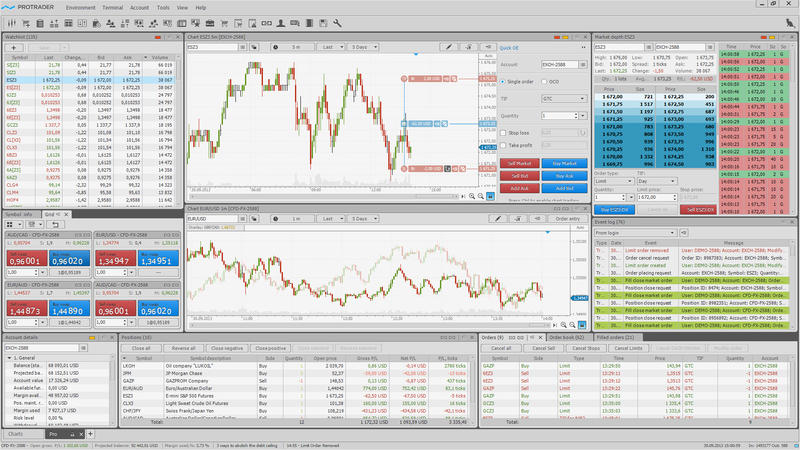 In Protrader 3 users will benefit from a range of tools. “We’ve added some new front-end tools for analysis and trading. On the server side we expanded functionality to strengthen the multi-asset capabilities of our solution. In addition, we added a new set of powerful risk management rules,” explained the company spokesperson. The Protrader concept of intuitive design packed with robust back and middle office capability has been the driving force behind the platform’s success, despite the platform monopoly taking preference over the last six years. With a continued focus on solutions for both traders and brokers the firm maintains its position as a provider of value. Where can I try this platform?